6 oz Simcoe Hop Pellets from William’s Brewing. For a limited time, William’s Brewing has a Spring Clearance Sale going on. The sale features lots of great deals include stainless steel ball lock QDs for just $11.99 each, Simcoe and Amarillo Hops, Ferrari bottle cappers, stainless carbonation caps, Blichmann’s Hop Blocker, Draft Towers for just $19.99 and lots more. No coupon or promo code is required. While supplies last. Check the sale page for up to the minute selection, pricing and availability. This 6 oz Simcoe offering is part of the Spring Clearance Sale. The sale brings this down to just $4.49. That figures to about 75 cents per ounce. Price, shipping and availability can change quickly. Check the product page for up to the minute price and availability. 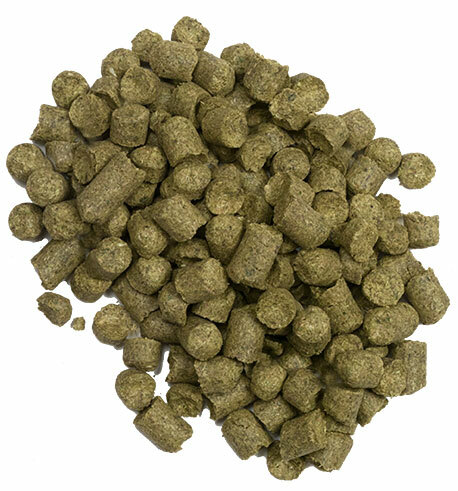 6 Oz Simcoe Pellets | Spring Clearance at William’s Brewing! This entry was posted in Amarillo, Hops, Ingredients, William's Brewing on April 14, 2017 by admin. 6 oz Amarillo Hop Pellets from William’s Brewing. This 6 oz Amarillo offering is part of the Spring Clearance Sale. The sale brings this down to just $5.99. That figures to just $1 per ounce. For comparison, the last time I show this as being on sale it was marked down to $9.34, $3.35 more than the current sale price. Compare at MoreBeer. Price, shipping and availability can change quickly. Check the product page for up to the minute price and availability. 6 Oz Amarillo Pellets | Spring Clearance at William’s Brewing! Great Fermentations is discounting select 1 lb hop buys by 20%. See: Bulk Hop Sale at Great Fermentations. This sale brings Amarillo down to $27.19 per lb. These are 2015 crop hops. That means these are the freshest hops available. Bundles with $8.99 flat rate shipping. No coupon code is required. This entry was posted in Amarillo, Great Fermentations, Hops, Ingredients on July 8, 2016 by admin. 10% Off Bulk Hops at Great Fermentations! Promo code HBFHOPS10 takes 10% off Great Fermentations entire lineup of bulk 1 lb hop offerings. That selection includes a lot of different hops including hard to find hops like Amarillo and Citra. This entry was posted in Amarillo, Citra, Great Fermentations, Hops, Ingredients, Reader Exclusive on April 21, 2016 by admin. Nikobrew is discounting every single hop that they stock for Black Friday. that includes Amarillo and Simcoe. Many hops are under $10 per lb. This combines with Nikobrew’s $5 Flat Rat Shipping. This sale brings lbs of 2014 Amarillo down to $23.50. A limited quantity are available at this price. This entry was posted in Amarillo, Black Friday, Nikobrew on November 27, 2015 by admin. Brew Hardware [Recent Brew Hardware Items]. These are just back in stock. No limit on the number you can purchase. Shipping is a Flat $7.99 with a $150 order or free with a $299 order. Check out recently featured Brew Hardware Finds. This entry was posted in Amarillo, Brew Hardware, Hops, Ingredients on October 24, 2015 by admin. Part of MoreBeer’s Single Hop Experiment Series of Recipes. The recipe series features the same malt bill and Magnum for the bittering hop and then highlights a single hop for all other additions. In this case Amarillo throughout. This entry was posted in Amarillo, Extract Brewing, Kits, More Beer, Pale Ales, Recipes on September 29, 2015 by admin. This entry was posted in Amarillo, Brew Hardware, Hops, Ingredients on September 6, 2015 by admin. Nikobrew also has a number of hops on sale starting at just $7.50/lb. 2014 Amarillo – Full Hop Selection – Look for the graphic above for sale hops. There are currently 3 pages of hops, so you need to scroll through to see the entire selection. Nikobrew offers $5 Flat Rate Shipping on any domestic order. International shipping is also available. This entry was posted in Amarillo, Hops, Ingredients, Nikobrew on September 1, 2015 by admin. This entry was posted in Amarillo, Brew Hardware, Hops, Ingredients on June 15, 2015 by admin.